Turf & Dirt - On Horse Racing: 'Revenge' most impressive. 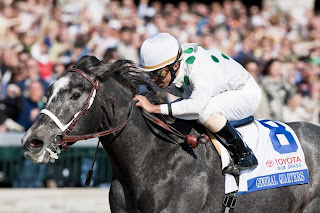 Horse Racing Opinions and Photos presented by EquiSport Photos. Kentucky Derby, Breeder's Cup, Photography, Other racing. Anything goes! Don't be left out of the discussion! Okay, down to the wire! Most impressive performances... I Want Revenge in the Wood, Friesan Fire in the Louisianna Derby, Quality Road in the Florida Derby. They are the TOP 3. Best trade... Dunkirk in, Mafaaz out. Best story... General Quarters, the one horse stable of Thomas McCarthy. Biggest move... Papa Clem winning the Arkansas Derby over the ill fated Old Fashioned. Could be for real... Musket Man wins the Illinois Derby on the heals of the Tampa Bay Derby. Comeback trail... Square Eddie. We'll see Saturday in the Lexington. Needed 4 horses to come up with 20... Charitable Man, Giant Oak, Jeranimo, Flying Private. Subscribe to Turf & Dirt!